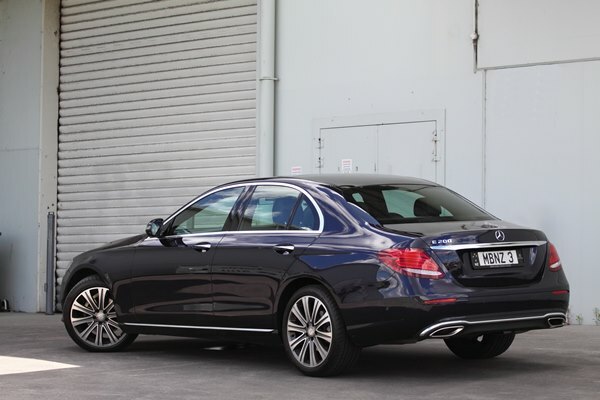 BtoB’s test E200 came with an optional metallic paint finish, 19” alloy wheels, heated front seats and the Vision Package (sunroof, heads-up display and upmarket audio), taking the price to $109,380. My wife Sharron and I are gliding along the Southern Motorway in the luxury and comfort that’s the new Mercedes-Benz E200. As we approach a sweeping right-hand bend at 100km/h I take my hands off the steering wheel and fold my arms. Everything was under control, except for Sharron of course; she’s freaking right out. The Mercedes takes the bend, and I retake the steering wheel. “I really do wish you’d told me that this car drives itself,” says Sharron. Why would I do that? Of all my hobbies, winding up my wife is one of my favourites and this was an opportunity that was too good to miss. The helpful PR bloke at Mercedes-Benz is quick to point out that the E200 isn’t an autonomous ‘self drive’ car, although it’s pretty darn close. You can’t punch a destination into the nav system and have the car take you there, with no input from the driver. What you can do is activate adaptive cruise control (between 20km/h and 210km/h), set the following distance to the car ahead, and away you go. Driving Assistance package Plus has Drive Pilot which will keep the car in its lane, including turning the steering wheel for you. It’ll brake when the car ahead slows, and accelerate to the speed you’ve preset when the road ahead is clear. If the system brings the car to a complete stop, it will get you going again with no driver intervention. The last of Mercedes’ models to get an extreme makeover, this tenth generation all-new E200 is a perfect blend of C- and S-Class styling. I tell you what, it’s the weirdest feeling, and it was a huge leap of faith to take my hands off the wheel. Mercedes Benz doesn’t recommend it, and neither do I because at this stage it’s a safety feature rather than convenience. But, lightly holding the wheel and feeling it move as the car negotiates a corner is pretty cool The E200 will also change lanes for you, without any steering input. With cruise control on, all you need do is indicate. The car decides if the lane you want to go in is clear, then goes ahead and completes the manoeuvre. It’s also cool feature, but more of a novelty than something I’d use every day. Slide into the comfortable and roomy cabin (the wheelbase is 65mm longer than its predecessor’s) and there’s a real sense of occasion. The architecture, quality of the materials, fit and finish is simply superb. There’s not a single stitch out of place, the gaps are precise, and it’s classy and understated despite the two big 12.3-inch glass display screens (for virtual instruments and nav/infotainment) that look all virtual reality. I wouldn’t describe the controls as being totally intuitive, but they’re not hard to figure out. Once I had it sussed I found everything simple to navigate, from the customisable instrument display to operating the awesome sound system. Emergency Stop Assist brings the vehicle to a standstill within the lane if drivers fail to respond to repeated warnings by the hands-off warning signal that reminds them to put their hands back on the wheel. There are two thumbprint size touch pads on the steering wheel for swiping through various commands a la smart phone, another first for E-Class. These are supplemented by a touch pad and rotary control on the centre console, which is flanked by buttons for quick access to the main functions such as the ‘home’ menu. There are enough gadgets to keep the most avid technophile occupied for hours. E200 comes loaded with safety features over and above the Driver Assistance package Plus, from nine airbags to crosswind assist and seat side bolsters that move occupants further away from the point of an impending side impact. Being the entry level model, E200 has a two-litre petrol engine coupled to an excellent nine speed transmission. With 135kW and 300Nm on tap it’s no rocketship, but there’s adequate acceleration and it’s a relaxed and capable long-distance cruiser. The car feels balanced and well controlled, even though the handling is more comfort than performance orientated. 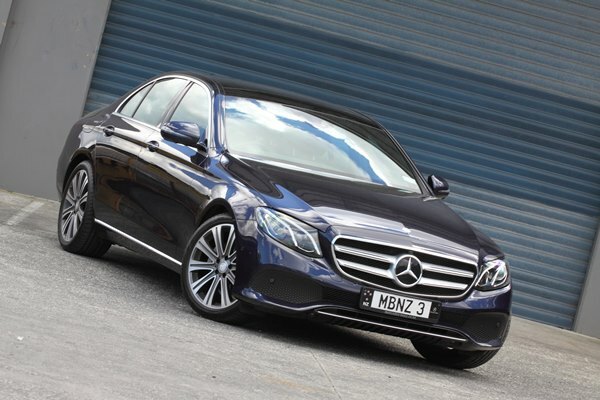 Mercedes-Benz E-Class hasn’t just shifted the goalposts, it’s a game changer. Yes, it oozes advanced technology out of every pore, and it can be as complicated or as simple as you want. But all this wizardry hasn’t come at the expense of enjoyment, proving that safe doesn’t always mean boring.